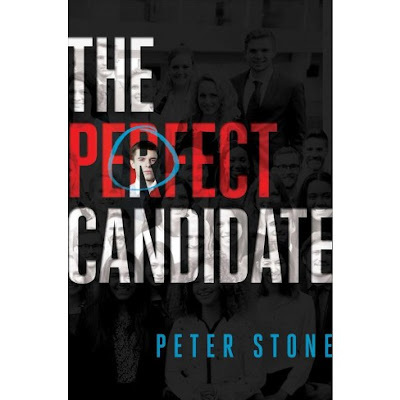 Brooklyn Digest: Books: "The Perfect Candidate"
Stone worked for Condit prior to the tragic disappearance of Chandra Levy. That is the unforgettable experience that gave him the inspiration to write his young adult debut novel, The Perfect Candidate. Cameron Carter grew up in a small suburban town in California's Central Valley. His internship opened his eyes to Washington's behind-the-scenes intrigues and its intricate and alluring power structure. This idealistic main character is determined to do good in the world despite his naivete, and it will invite comparisons to the hit shows House of Cards and Thirteen Reasons Why. The only thing Cameron want more than a way out of his tiny hometown after he graduates high school is to pick up right where his mother left off as a staffer on Capitol Hill. She reluctantly moved on from that glamorous Washington lifestyle to marry Cameron's father and move west. When Cameron lands a coveted internship under Congressman Billy Beck, he is determined not to let his less-than-polished background get in the way. It doesn't take long for Cameron to find a mentor in Washington insider Ariel Lancaster, who is the daughter of a respected Congresswoman. He is flattered that Ariel is giving him so much attention. When Ariel lets him in on a little secret, that their mutual boss might not be the moral, upstanding Congressman he claims to be, Cameron is shocked. Before he can find out more, Ariel turns up dead. When reporters start to swarm and rumors swirl that Ariel and Congressman Beck possibly had an affair, Cameron begins to wonder if there might be more to the story than the tragic car accident that the press is reporting on. Cameron is not alone in having suspicions about how Ariel died and finds himself unwillingly recruited into assisting an FBI investigation. He discovers evidence of a deadly conspiracy that's more widespread than anyone can imagine. The Perfect Candidate is Stone's love letter and "burn book" for D.C., in equal measure. At a time when shocking news out of Washington is unending and teenagers are more involved in politics than ever, this addictive thriller is perfect for this era. When most people see the photo of Chandra Levy posing in a white tank top and high-waisted jeans, they see yet another young female murder victim immortalized by the tabloids. When they see the picture of Congressman Gary Condit wearing a too-big white shirt and too-long grey tie and running from the paparazzi, it's an iconic shot of one more politician under media scrutiny. But I see a young woman from my hometown. I see my former boss. I was an intern in Condit's Capitol Hill office the summer after I graduated from high school. Soon after, he would be embroiled in this century's first notorious political scandal. But that summer, he was a hero of mine - a homegrown, five-term Democratic Congressman beloved by a predominantly Republican constituency. I had traded the dusty orchard roads of my Central California town for the sleek and futuristic metro of Washington, D.C. The summer before, I was an underpaid and sunburned swimming instructor assistant at the community pool. And one year later at eighteen years old, I was writing legislative briefs and giving tours of the Capitol Building. Those three hot, sweaty summer months were my first exposure to the real world, the realm of adulthood I was so eagerly racing toward. For a brief season, I became part of the youthful army of interns and staffers who keep the country running. I spent long days in the lawmaking trenches with an influential party leader. The adjacency to power was inspiring an intoxicating - seductive, even. And then shortly thereafter, it was disturbing. Seeing the news of Levy's death, followed by the accusations of murder and the piranha feeding frenzy of the press - I saw the darker side of D.C. Condit insisted that he had nothing to do with the crime, and I am inclined to believe him. But the experience taught me larger lessons about the fallibility of heroes and the duplicity of power. And perhaps most surprising: the realization that the adolescence you were so ready to leave behind was actually wonderful in its own way - maybe even idyllic. And suddenly gone for good.